Get Ready to Eliminate your Money Clutter! Everything in your environment that relates to money is either supporting you, giving you energy and moving you closer to your goals, or it’s sabotaging, draining you and keeping you further away from your goals. 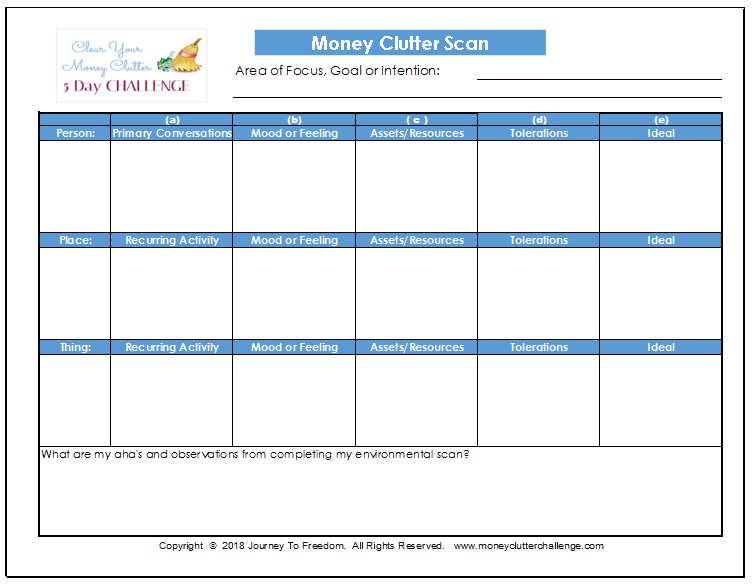 The Money Clutter Environmental scan is a powerful tool that will help you take a look at and assess the environments of People, Places and things as they relate to your money so you can create more Time, Energy and Income! Included are instructions to complete the scan.